Wanna appear on the show? Shoot us a 30 to 60-second audio clip telling us your thoughts regarding VAULTING AMBITION and you could take the spotlight in an upcoming program! You can also send any other questions, topic ideas or feedback to subspacetransmissionspod@gmail.com! Should Trek Return to the Mirror Universe? 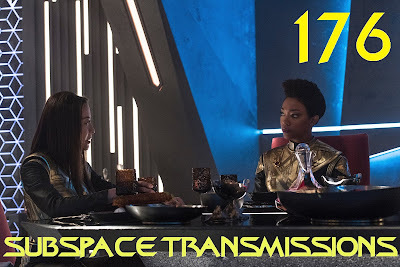 Join us next week as we explore Discovery's 13th episode, What's Past is Prologue!